Conversation view is the screen that you see when you have accepted a conversation offer or click on a conversation. The user can be both an end user or an agent. In the conversation view, you can see previous and other ongoing conversations from the same user in the right hand side of the interface. Click the conversation ID (the number) to open a previous conversation. 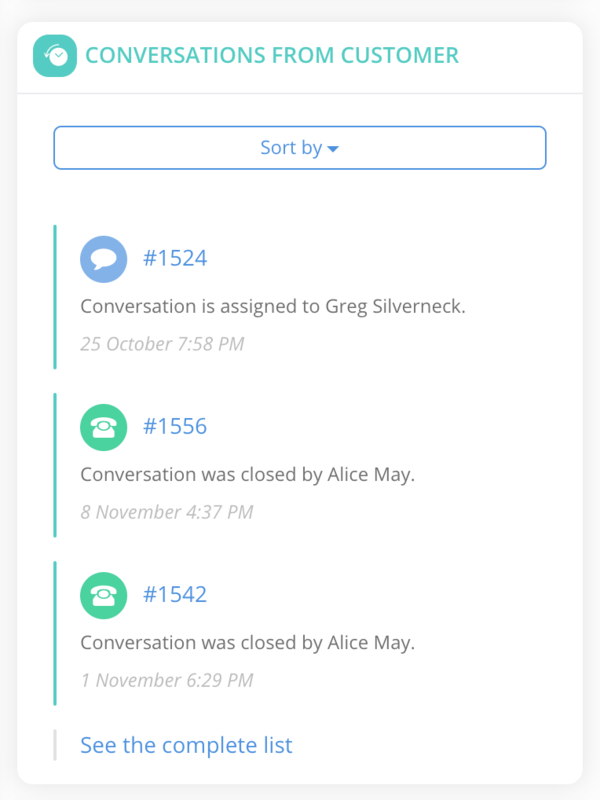 The view can be sorted by open and closed conversations. 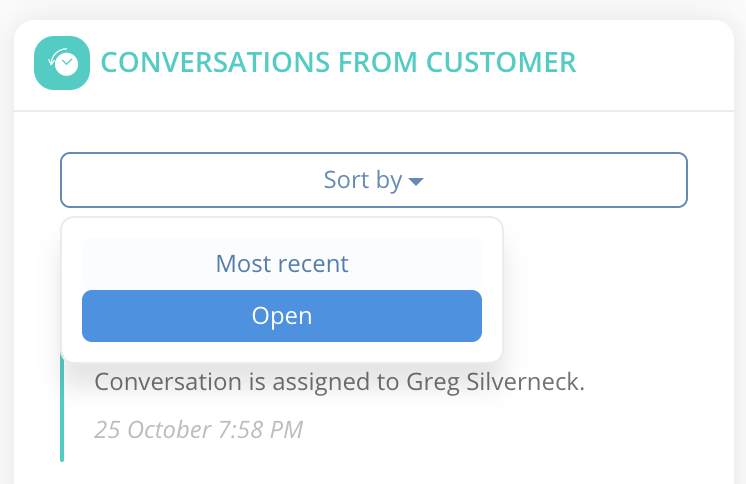 The default view is open conversations, so you easily can see if there are other open conversations from the customer. You can also click on See the Complete List to see a list of all conversations from the same user.